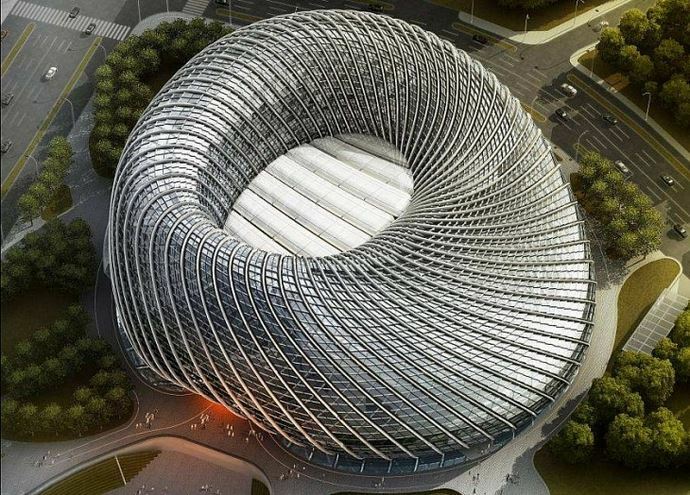 Phoenix International Media Center by Chinese based Shao weiping + BIAD_UFo. The Construction Work for this project is under way. for the multipurpose program will contain facilities for television programming, offices and various businesses. 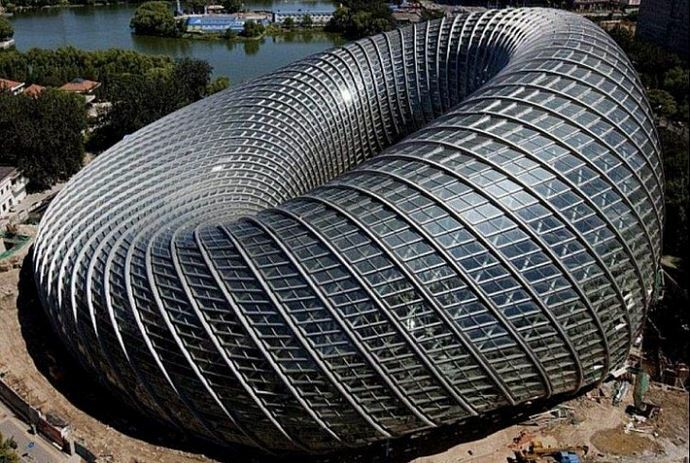 the curvaceous shell is conceptually derived from the mobius, a continuous strip with no beginning or end, wrapping around monumental atrium spaces. 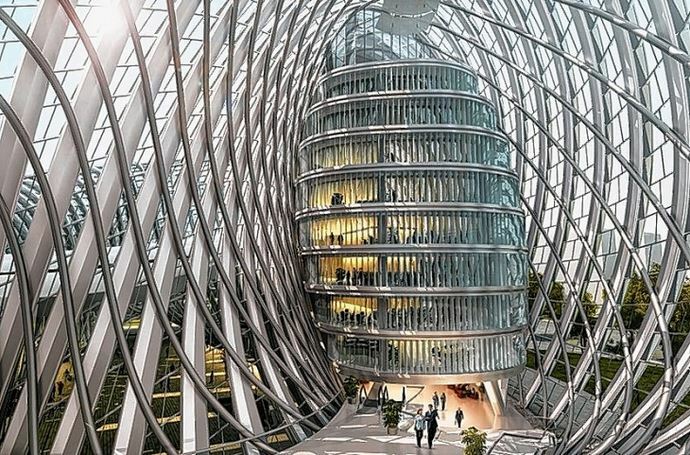 A structural steel diagrid supports the expansive glass curtain wall bringing ambient light into the sweeping interior. separate sheltered rooms containing programmatic spaces protect individuals from direct sunlight. a strong visual connection is maintained with the adjacent chaoyang park from the various levels of suspended promenades and streets. This project is currently being exhibited as part of the 'verso est' – chinese architectural landscape at the MAXXI in rome, italy. 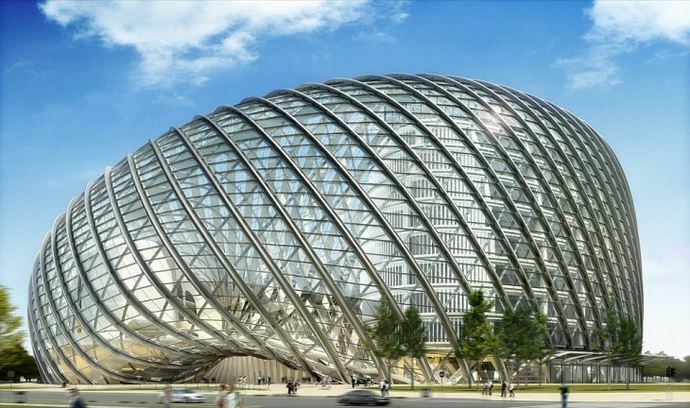 curated by fang zhenning, the international exhibit for chinese art and architecture will continue though october 23, 2011.